Crime Intervention Alarm provides the ultimate in facility access control. A popular solution we provide to our clients is a system that uses specific proximity cards or key fobs. Each employee with authorized access to the facility gets a card or key fob to enter or exit a building. This is a simple solution to limit access to your business to only those you authorize. This solution will also save you money in the long run because you won’t have to employ someone to do this job. Key fob and proximity card systems allow the host to grant selective or timed access to facilities. 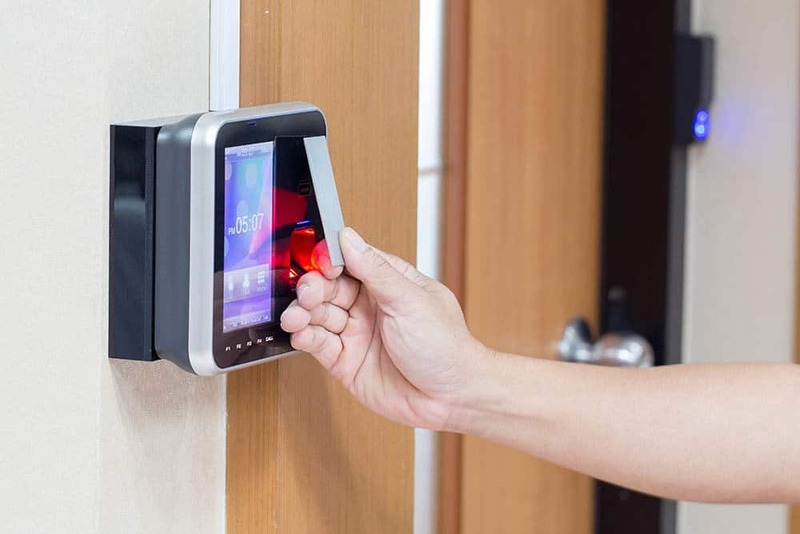 Individual users may be activated only at certain times or on certain days of the week, allowing highly customizable, secure access control to your facilities. 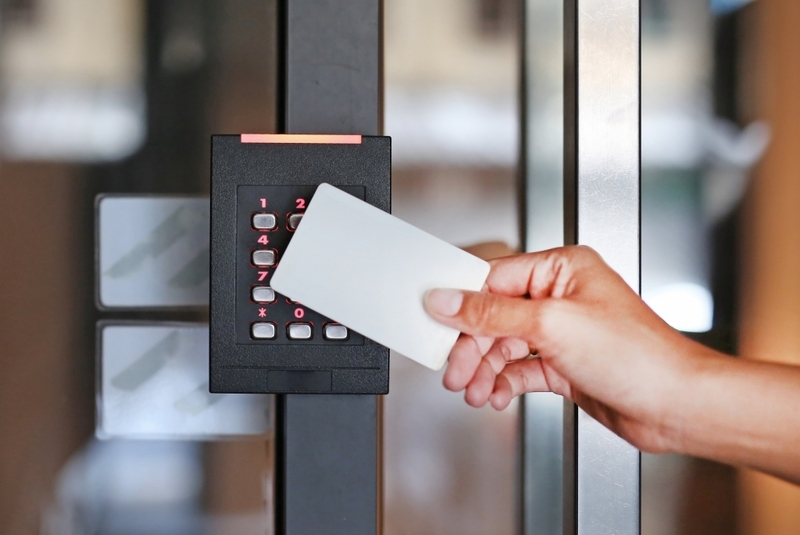 Our proximity card and key fob systems also provide a record of all arrivals and departures, which can be used to track users within a facility, verify attendance and confirm who is on-site in case of emergencies. RFID Key Fob Systems: How Do They Work? RFID key fob systems are a simple solution that allows you to limit access to your business to only those you authorize. Here’s how RFID key fobs work: Each key fob or proximity card contains information about the user, such as a user-specific number. The card or key fob transmits that number to an RFID reader for authentication.  These RFID access card or key fob systems offer better security as well as attendance data and other benefits. This solution will even save you money in the long run because you won’t have to employ someone to do the job of checking credentials and letting employees in. It’s automated with our system, and you can instantly add or delete users. CIA has always been very responsive and thorough in meeting the needs of our community. The representatives and technicians are polite and patient. Thank you for providing exemplary service. The Township has been with CIA for quite a few years. Anytime we have had a question or problem with our alarm, we have given your office a call. Sometimes it could be handled over the phone others required a visit by a technician in a timely manner. We are happy with CIA and the work you had completed in the past. We still utilize the monitoring service/your services. We have no concerns at this time. Amanda, Everest Care Management, Inc.